Onn Table Top TV Stand 37-70"
This ONN Table Top TV Stand 37-70" is the solution to your missing TV stand or to improve on your current TV stand! 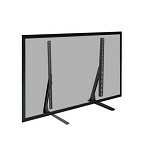 The stability provided in a sleek and slim format allows you to safely and confidently place your TV anywhere in your home. 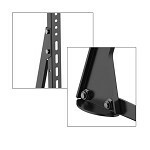 The two leg design provides optimal balance by spreading the weight of the TV evenly between each foot. The 13.5" long feet prevent tip in either direction. 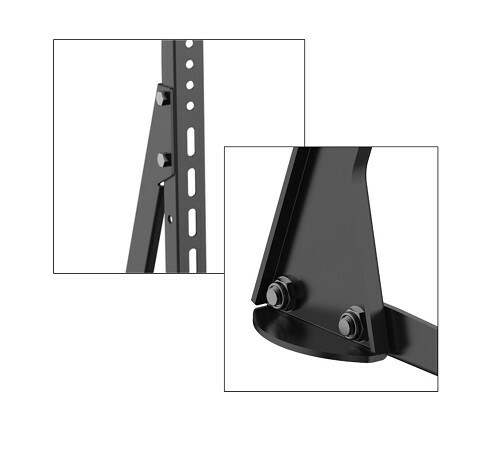 Constructed of high grade steel to resist scratches and provide ideal support. 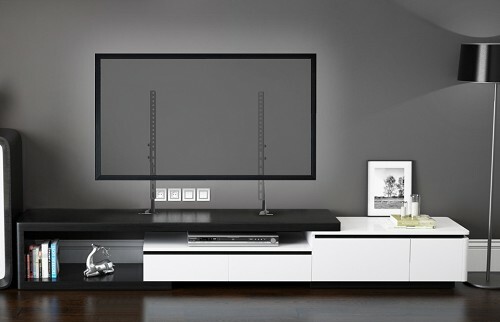 The TV stand will hold the majority of large screen TVs from 37" to 70" weighing as much as 88 pounds .The sleek design blends into any environment and compliments any flat screen with its angles and black matte finish. It is also height adjustable offering additional flexibility! 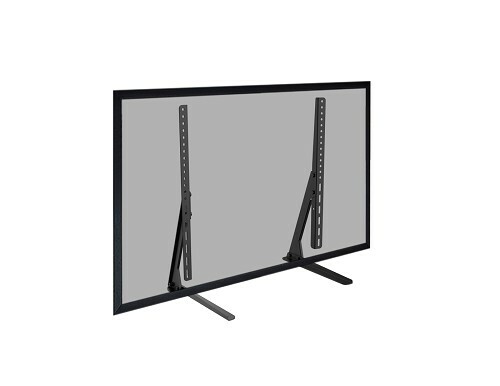 Universal - the table top TV stand fits screens from 37" to 70" in size with mounting holes up to VESA 600mm x 500mm hole patterns.